Feature: Excellent crush & pull of characteristic making it ideal for flexing, bending and vibrating application. IP rating: IP40 with standard fittings. 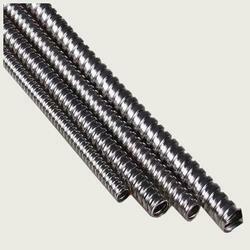 We S.S.SON CONTROLS ( Mumbai ) are leading suppliers of Stainless Steel Conduits . These conduits are made out of SS3304 material are highly robust in construction . 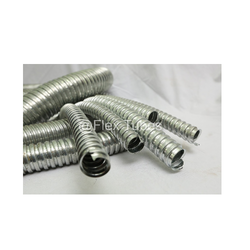 G.S.Flexibles manufactures Stainless Steel Flexible Conduits and Flexi-Armors which are used as Instrumentation tubing in numerous industries. This is flexible with OD 1 3/4 inches and length of flexible is 7 inches.